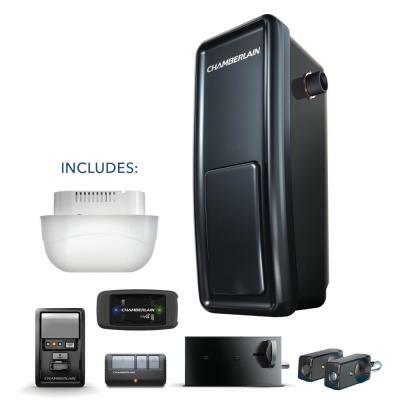 Whether you’re shopping for the latest smart garage door opener that plays nicely with other networked devices or a reliable, budget-friendly model with quick, dependable operation, there's an opener available that has the power, performance, and features needed for your home. 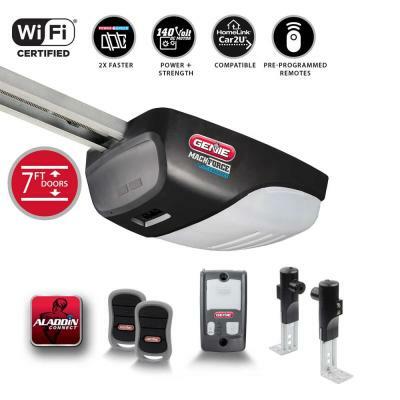 This garage door opener buying guide explains how the basic types of garage opener systems work, and highlights some of the smarter features and accessories you get with Wi-Fi enabled openers. How large is my door and how frequently do I use it? 1/2 horsepower openers work well with standard aluminum doors. If the garage is the main entrance to your home — or you have a one-piece door, or a heavy, oversized garage door, you’ll need a 3/4 to 1 ¼ horsepower opener. Is there a bedroom or living space near the garage? Belt and direct drive openers offer the quietest operation with minimal disturbance to adjacent rooms. Do you want to control and monitor the garage door remotely? Wi-Fi enabled openers let you see, open, or close the door from virtually anywhere with a phone or tablet. Will I need access to the garage if the power goes out? Openers with a battery backup let you open and close the garage even during a power outage. Can’t remember if you closed the garage door? It happens. If you have a smart garage opener though, there’s an app for that, and you’ll never have to waste time worrying or backtracking. Remote access and monitoring See if the garage door is open or closed, close or open it from anywhere, get alerts, change setting and more with an app on your phone or tablet. 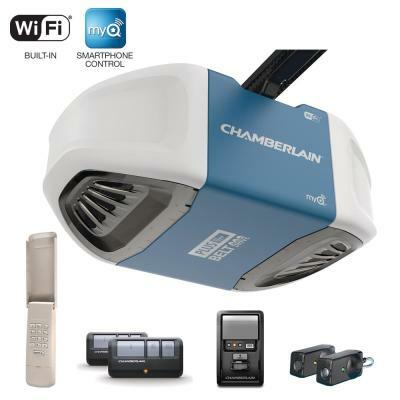 Smart Home Integration Link your garage system to your home’s smart hub and other Wi-Fi enabled devices on the network. Modular smart accessories A Bluetooth speaker, adjustable fan, dual-laser parking-assist module, and carbon-monoxide sensor are great add-ons you can get with some advanced models. 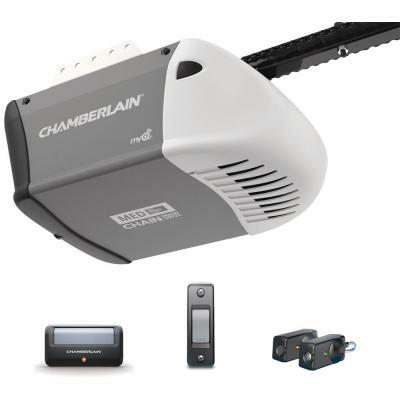 If you’d like us to take on all the heavy lifting and install it for you, our experienced, licensed and insured installers are ready to help with garage door opener installation, garage door opener repair, as well as new garage door installation or garage door repair.